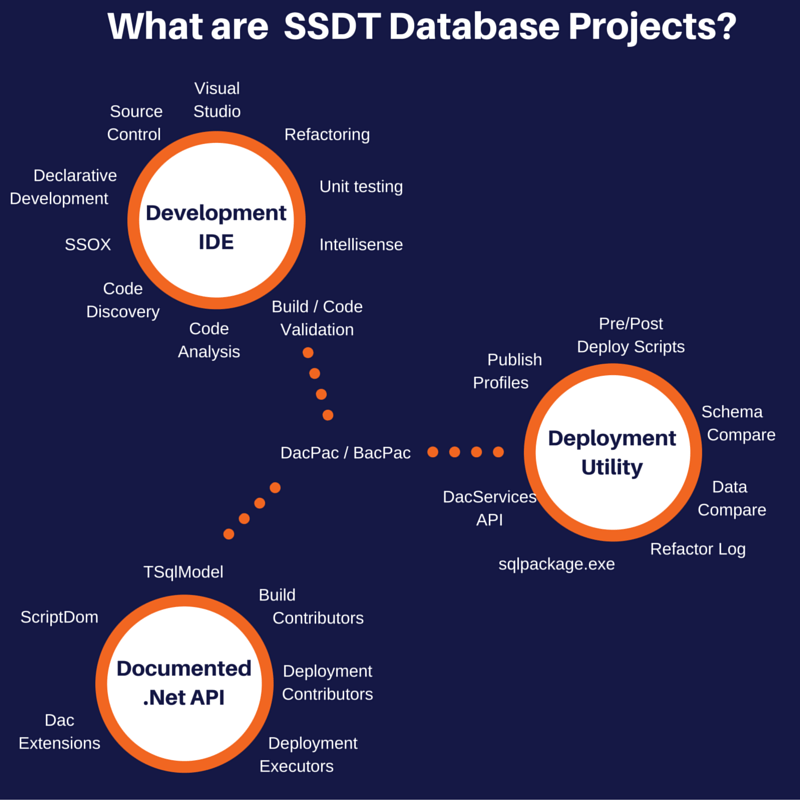 For me SSDT really sets SQL Server apart from any other RDBMS and makes development so more professional. The main reason is the declarative approach (I realise this can be replicated to some extent) but also because of the API support – name me one other RDBMS or even NoSql system where you get an API to query and modify the language itself, go on think about it for a minute, still thinking? One thing that causes some confusion when using the ScriptDom is that to parse any T-SQL unless you just want a stream of tokens you need to use the visitor pattern and implement a class that inherits from TSqlFragmentVisitor – it is really simple to do and you can retrieve all the types of object that you like (CreateProcedure, AlterProcedure etc etc). If you think that it sounds confusing you would be right, but I do have some help for you in the ScriptDomVisualizer – if you give it a SQL statement it will parse it and show a tree of the objects you will get. If you do anything with the ScriptDom then use this as it will help a lot. The TSql Model API returns loosely typed objects so everything is a TSqlObject – this is good and bad but I will leave it as an exercise for you to find out why! The last three items, the contributors all let you inject your own code into something that SSDT does and change it – this really is huge, normally with tools you get the resulting output and that is it your stuck with it but with SSDT you can completely control certain aspects of how it works. When the DacServices have compared your dacpac to a database, deployment plan modifiers are called and can add or remove steps in the plan before the final deployment script is generated. Again this is huge, it is bigger than huger, it is massive. If you want to make sure a table is never dropped or you don’t like the sql code that is generated then you can write a utility to change it before it is created – write the utility and use it for every build.